I’m back on it again with the meal planning. 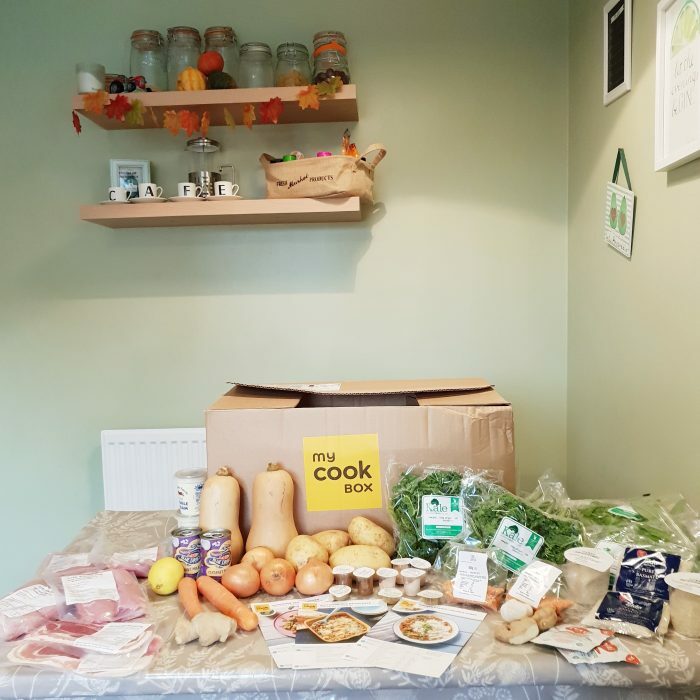 We had the opportunity to try something a little different this week and are really excited to see how it fits into our family meal plan. I’ve started meal planning Sunday to Sunday recently as that’s when I seem to be doing my weekly shop so this meal plan includes last night. If you want to try a box for yourself they’ve given me a discount code for my followers to get 40% off their order. Use code: FRIENDLY40 for 40% off. 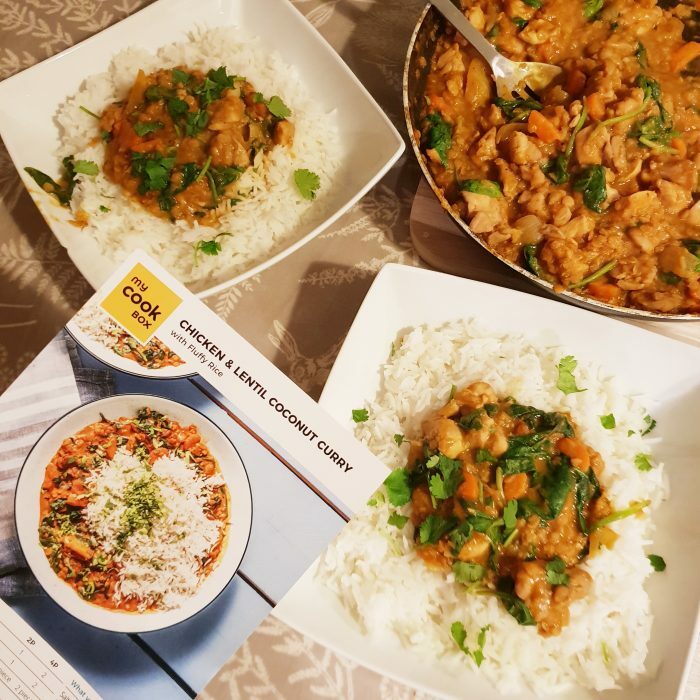 The first meal we tried was chicken and lentil coconut curry with fluffy rice and it was delicious! (I’m actually eating leftovers for my lunch while I type!) I’ve always been hesitant to try recipe services like this as I thought they would be expensive but was surprised to find it was more affordable that I thought. Buying the ingredients to make the meals without My Cook Box would’ve cost more and there would’ve been more waste so I think this is a great way to enjoy a healthy treat! Alistair and I cooked together which was so much fun and made a great ‘date night while the kids are asleep upstairs’ activity! The rest of the week we are going to eat what’s in the cupboard and freezer. After our week before payday panic last month I planned ahead and prepared a little extra each time I cooked so we have plenty to keep us going! 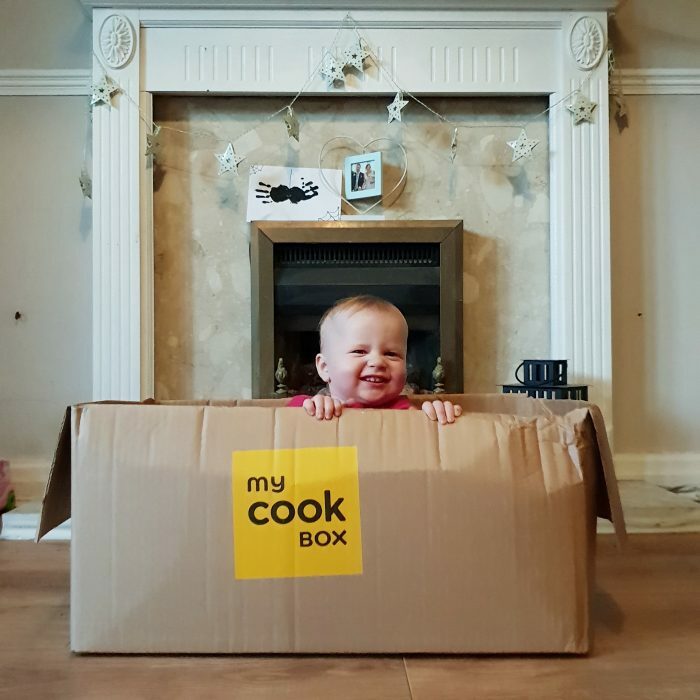 **The recipe box was gifted by My Cook Box. All thoughts shared are my own and I never share a product or service with you that I wouldn’t genuinely recommend to friends and family.